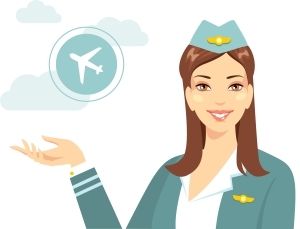 FAQs | Flight Crew Tax Preparation: with a flight crew and per diem specialist. Because of the new tax laws, beginning 2018 an employee’s work related expenses are no longer deductible in any industry. We will be following any developments in this law, but this is the current situation. Why do I still need to keep track of my trips for the year? You still need to keep a record of your overnights. The reason is that your per diem reimbursement is on your W2, and for this NOT to be considered taxable income you need proof of your on-duty travel (overnights). There is no deduction for flight crew expenses this year. But it is necessary to either fill out the flight calendar or check the box on the flight calendar that confirms you have kept these records to prove that your per diem reimbursement amount is not taxable. (If you work for SW they archive payroll reports after 3 months so please try to download those every month to keep in your files). What is the cost? (Prices increase during the month of April each year). Our New Client Flight Crew base cost is $150. That includes per diem calculation and itemized deductions. If your spouse has a W2 include it in your packet and we will keep the price at $150. If you are self-employed,receive the Earned Income Credit, or if you are a landlord (own a rental) the price goes up $50 for each of those, so Flight Crew with a 1099 for self employment or independent contractor would start at $250, etc. The more organized you are the lower the price is within the range. So, someone that fills out the forms completely (or pretty well) and doesn’t send receipts, or a spreadsheet for us to tally up will stay at or near $150. If you send us a hot mess of paper it could be $300 or more. The price includes year-round questions by email and phone, within reason, and basic audit protection. If you get a letter we answer it for you; if you have an examination we help you get the proper documents together and if you need someone to talk to the IRS for you we do a power of attorney for you. If this becomes a big project we will need to apply reasonable chargs, but that is rare. Do you work with people that also have a small business? Yes, Jenya is an Enrolled Agent and we do non-flight crew taxes as well. We have many self employed clients and handle rentals, depreciation, foreign earned income, foreign tax credit, etc. The only entities we do not work with is corporations and partnerships, but we have some fantastic referrals if you need. Just email us. What forms do I need to fill out to work with you? You need to fill out the Flight Crew Packet. It includes a 3-page New Client form for all of your standard tax info (only 2 pages if you don’t have kids). The Flight Calendar for 2018 (and going forward until the flight crew expenses become deductible again) has a check box on the top to confirm that you have kept track of your overnights. This will ensure that your per diem reimbursement on your W2 is not considered taxable. 3. Scan all of your documents into 1 PDF and upload it to the portal (Fedex/Kinko’s is a good resource to help you scan and/or send your docs). Please don’t send pics from your phone or scan each page individually. Once we receive your documents we will notify you. When we complete the return we will invoice you through our portal. When you’ve paid your invoice we will tell you your refund/liability amount and review the return with you. Then we’ll efile. You will have our services for the year – you can email or call anytime with questions. How do I get into the portal? New Clients: just email or call us with your name and social security number so we can open a portal window for you. 1. Go here and click on “Need a password or forgot password”. 2. Put in the email and Social Security Number (SSN) of the primary taxpayer – not the spouse (just look at last year’s tax return if you’re married and can’t remember who the primary is). 3. You’ll get an email with a temporary password. Copy that and go back to the sign-in page. 4. Enter your SSN and temporary password. Let us know if you have any questions or any issues with the portal or anything else. What happens after I upload my documents to your portal? We will email you when we’ve received it. As we’re working on it we will email or call you with questions. Then we’ll email you again when we’ve completed the work. At that time we’ll ask you to pay your invoice in the portal. Once that’s paid we’ll email you with the details of your return (refund amount, etc) and offer you the option to either review it with us over the phone/screen share or to give us permission to efile. If you’d like a phone/screen share review we’ll schedule a time with you. Once you give us your permission we efile (Federal and state) and upload copies of your returns to the portal. You will have access to those 24/7 throughout the year. So, it’s pretty convenient and easy. We’re also available year-round for any questions about taxes or financial planning, so when you become a client you get great customer service. How long does it take for you to do my tax return? It should take less than 1 week from when we receive your complete paperwork. If you would like faster turn-around we have a $75 rush charge that will move you to the front of the queue. Do you need my return from last year if I’m a new client? We don’t need it, but having it will help us do a few things: compare your refund amount to last year to show you why you got less or more, double check that we have all of the interest, dividends, etc. that you may report each year in case you’ve forgotten something, carry forward capital losses if you have any, etc. If you are a landlord we definitely need last year’s return to follow the depreciation schedule.